The University of Maine men’s basketball team has announced the addition of two transfers, guard Sergio El Darwich and forward Nedeljko Prijovic, to its roster Tuesday. 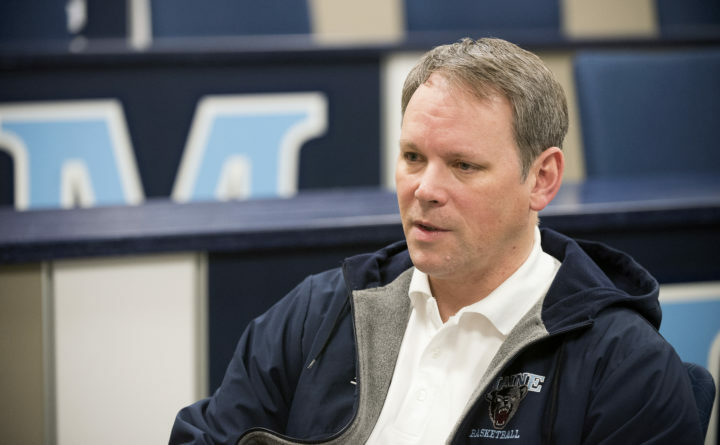 The new Black Bears were former teammates at Lee Academy under new UMaine assistant coach Igor Vrzina and signed their National Letters of Intent after making official visits to the Orono campus last weekend. El Darwich and Prijovic are the second the third recruits to sign NLIs with UMaine this offseason. Terion Moss, a point guard from Portland High School who was named Maine’s 2018 Mr. Basketball and is a two-time Gatorade Player of the Year for the state, signed last week to join the Black Bears next fall. A 6-foot-4 guard from Dekweneh, Lebanon, El Darwich spent this past winter in at Western Texas College after playing at Division I South Dakota State University during the 2016-17 campaign. Prijovic, a 6-7 forward from Belgrade, Serbia, spent the last two years at Division I Texas State University. El Darwich is eligible to play in the 2018-19 season, classifying as a junior. Priovic must sit out the 2018-19 season due to NCAA transfer rules and will have two seasons of eligibility in 2019-20 and 2020-21. In 17 games in the junior college ranks last winter, El Darwich averaged 7.5 points, 5.1 rebounds and 3.3 assists per game while shooting 51 percent from the field and 42 percent from 3-point range. El Darwich played in 12 games with eight starts at South Dakota State during the 2016-17 season, averaging 2.6 points and 3.0 rebounds per game. Prijovic made six starts and appeared in 29 games last winter for the Texas State Bobcats, who finished 15-18 overall and 7-11 in the Sun Belt Conference. He averaged 4.2 points and 3.4 rebounds per contest. Under Vrzina at Lee Academy, Prijovic averaged 15.2 points, 7.6 rebounds, and 3.4 assists as a senior in 2015-16. El Darwich and Prijovic will join Miks Antoms, Dusan Majstorovic, Ilija Stojilijkovic and Lewis Wang as former Lee Academy players on the 2018-19 UMaine roster. The eligibility of all student-athletes is contingent upon admission to the University of Maine and compliance with all NCAA rules, including registration with the NCAA Eligibility Center.